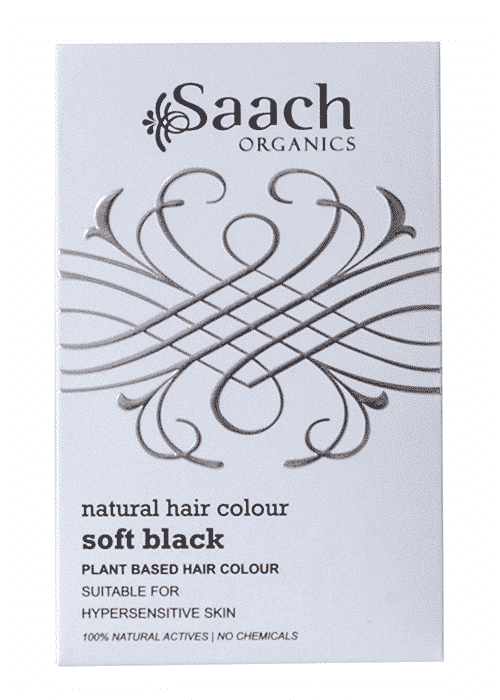 Soft Black natural hair colour that is chemical free, organic and not tested on animals – PETA certified. Balance and nourish your hair as you colour. 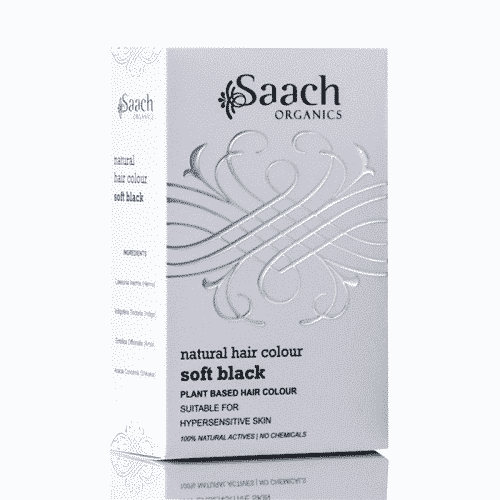 Saach Organics Soft Black Natural Hair Colour is a semi-permanent hair colour derived from natural plants and minerals, making it a perfect blend of rare hair treatment herbs without any active chemicals. 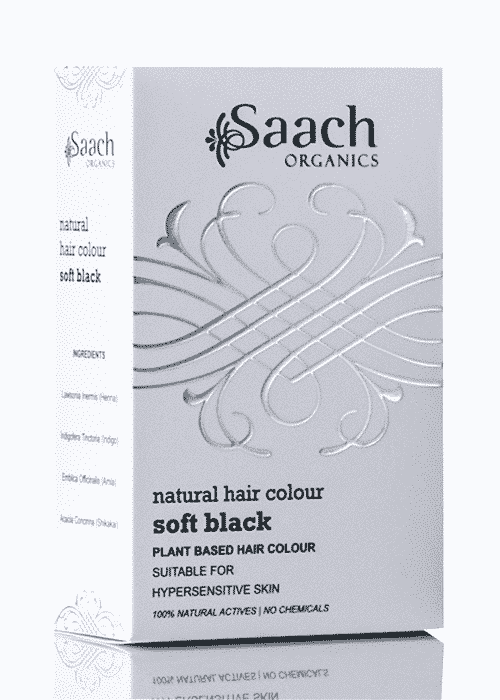 Semi–permanent soft black natural hair colour treatment that lasts, whilst balancing and nourishing each and every hair, helping to prevent breakage and over-drying, leaving hair thick, lustrous and naturally healthy.